Eliminating Mildew and Mold: Mold and mildew is “shocked” using ozone air purification – this is a common commercial practice. Airborne mold spores can be harmful to the lungs and respiratory system. Mold and mildew can cause asthma and allergy reactions, so removing them is very important. 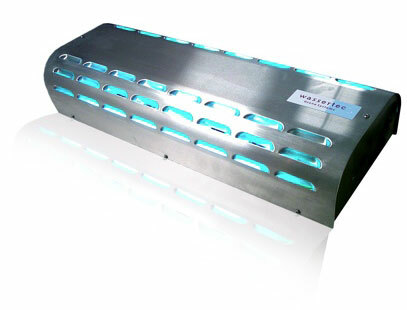 With ozone generators, mold can be removed in a fairly quick and affordable fashion. Removing Bacteria, Germs, and Viruses: Bacteria, germs, and viruses are often hiding in plain sight. Places like the kitchen sink, bathroom floor, TV remote control, and other common and often used household items can all hold bacteria and germs. Ozone generators, have the ability to remove many disease-causing substances by attacking the contaminants at the molecular level. Removing Odors: One of the most common uses for ozone generators is the removal of odors. Ozone gas attacks the physical airborne cells that make odors. This is useful for many different purposes, including cleaning air in hotel rooms from smells of tobacco smoke. It can also be used to remove the smell of pets from your home, or simply to remove a foul odor in your home. Ozone generators can be extremely useful for cleaning disagreeable odors, removing the smell of smoke, and getting rid of mold. They are used in hospitals, hotels, and homes, but, they can be dangerous and must be used only by trained, qualified professionals. The Airzure air treatment system has been specifically designed and manufactured as a safe, simple and effective way of neutralising odours and sanitising air in any indoor environment. The system uses ultraviolet to sanitise and freshen the air and is simple to service, with the UV lamp lasting up to 9 000 hours. Then it’s as easy as changing a light bulb!